Today is another example of how this blog continues to change, grow, and hopefully improve. I’ve already established that my schedule for posting will be Mondays, Wednesdays, and Fridays. I’m keeping that schedule, but I think I’m going to move further into this idea of schedules and make each day a specific type of post. Mondays from this point forward will be known as Story Monday. Posts will be…wait for it…stories. How’s that for a twist? What I mean by story is that I will post something to help us all delve deeper into knowing something or someone. These posts will be fiction or non-fiction, but they will always be a story to help us connect. I would love this to be a spot to share your story, but I will fill it with my babble if no one steps up to the plate. As I’ve stated in my bio and on my Your Stories page, I believe in the power of story. I think it helps get rid of misunderstanding and communication failure. We, as the human race in general, tend to fear or hate what we don’t know. This is an attempt to remedy that. Wednesdays will be my Compassion Wednesdays. 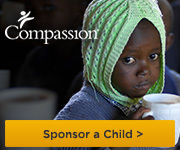 Primarily the focus on these days will be about Compassion International or other great Social Justice organizations. It’s one thing to talk about changing the world, it’s another to start doing something about it. The organizations I will write about here are changing the world. The posts will be in story form, because that’s my go-to form of writing (I know that may shock you). Again, I would love to hear more from those that are involved in these organizations than just drone on about my limited knowledge, but I will write. Fridays will be my Flash Fiction Fridays. They will be my own concoctions either from the swarms buzzing inside my head or from the many great flash fiction prompts in the blogosphere. Either way, this will be a great way to enter the weekend with some fun. So, that is all for now. Hope you bear with me and that you enjoy the new schedule. Thanks for reading and connecting with me. You all make this worth it. Five years old is a curious age. Wonder drives exploration. Control protects security. Emotions…what is a five year old boy to do with all these emotions? How does one control this quick burst of burning anger that flares up at the most inappropriate times? When fear reaches in and steals your breath, how are you to react? When all these feelings look like Godzilla stomping on the Tokyo of a five year old mind…what then? The five year old hard as steel fist flies. The tears flow. And papa tries to step in. Unacceptable. Hitting is never OK. I know you’re angry, it’s OK to be angry, to be hurt, but it is never OK to hit. I try to talk. But Godzilla is not done with his rampage. Screams. Limbs flail. Angry growls. I soon forget what I read or what mama told me or what I know the five year old being stomped by his Godzilla anger inside his Tokyo mind needs. And the electric fire flows up my spine and boils my inside. And I yell. And I threaten. No TV or computer game that either one he rarely sees anyway so I try to think of something to take away to punish to make him listen. But it isn’t the taking away that defines the moment. Anger defines it. I let Godzilla stomp all over my Tokyo mind. And I forgot. And I hurt a five year old who can’t gain hold of his own Godzilla so he looks to me to see how I do it. And he learns. And our cities lie is smoldering rubble while we look at each other. So, I grab a broom and offer to help clean up his city. But he’s quicker. His head buries in my chest and I hold him. My city cleans up faster, but have I learned? Have I built the walls to keep Godzilla out of my streets? If I can’t keep the monster out, how will he? Or do I blame it on the “sinfulness of a child” and “deliberate disobedience”? Monsters have many names. They can look all sorts of ugly. But, they only have one way to keep them at bay. Love. Love covered all my “deliberate disobedience” and “sinfulness of a person”. I have an example I can look to, someone who showed a better way to handle Godzilla. What about the five year old? Will love always be there for him? From me? Can I show him a better way? Better be more than good intentions. Next postBack To School! Already? The universal question that every parent asks. It is hard in the moment and we don’t always live up to our intentions. It is a matter of balance, and even though we show our human side all too often, the love we hold for them can endure in them as well. Great lineup! Looking forward to what you come up with in the next little while. Change is always good, and change stirs the imagination to improve on what we find ordinary. Thank you. Hopefully, I’ll be able to get others to share their stories for Mondays.